Link2Feed’s food bank management software helps the Mississauga Food Bank put client needs first. The Mississauga Food Bank (TMFB) is a client-focused food bank that emphasizes the sourcing, management and distribution of healthy food to families and individuals across the Mississauga area. Prior to 2012, TMFB agencies only provided basic monthly data about the total number of people served and in-depth demographic information was only collected for a one-month period each year. The food bank found they often questioned the accuracy of this data and struggled to receive the information they needed for decision making in a timely manner. To put clients at the forefront of their work and be more strategic about their operations, the food bank decided more accurate, readily available data was required. The Mississauga Food Bank uses Link2Feed across their entire network. Their agency partners use the system as a case-management tool to help them better understand and serve their clients. The information entered at the agency level is then automatically aggregated, to give the food bank access to demographic information and service trends across their network in real-time. 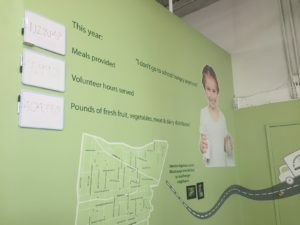 The Mississauga Food Bank warehouse wall is updated daily with stats from the Link2Feed system to share the food bank’s impact with staff and volunteers. 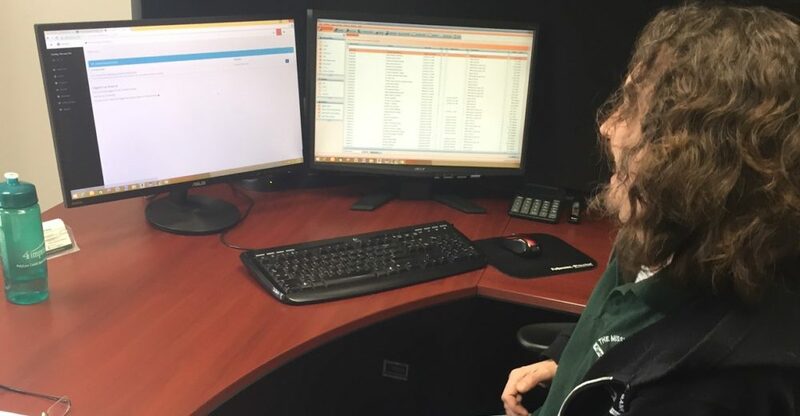 Since Link2Feed reports are so user-friendly, anyone at the food bank can use real-time, aggregate client data as the basis for their decisions, making it easy to put client needs first. The Link2Feed data is not only used for distribution and operations but has also become a vital tool for all aspects of the organization including advocacy, communications and their annual “Impact Report”. Link2Feed data is even displayed in their warehouse to share the food bank’s impact with visitors and volunteers.